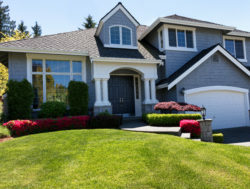 You’ve researched, planned, and spent hours digging in the dirt to create a summer garden and front yard landscape you’re proud of—but something’s missing. The balance is askew, the far-right corner is a little too empty, and it’s just kind of blah. You’ve been using the same decor for four seasons running and you want something to make your home stand out and make your neighbors ask, “How’d you come up with that?” Well, we have your back. 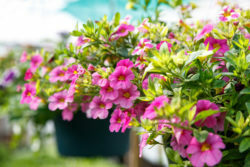 Check out these classes and workshops to give your garden and landscape the facelift it needs to become the beaut of the block. Vertical gardens are becoming a hit—and it’s no wonder why. These sideways gardens are fueled by hydroponics and provide a lush pop of color that will brighten any space in, or out, of your home. The Minnesota State Horticultural Society is offering a class on these beautiful and unique gardens that will satisfy your creative endeavors and impress your garden-savvy friends and family. 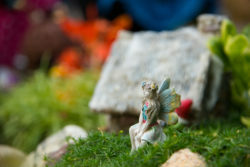 When: June 4, 6:30 p.m.-8:30 p.m.
Make your wildest and most whimsical dreams come true and learn the basics of making and caring for your very own fairy garden from an expert with that magic touch. Bring a 12-inch container and the rest will be provided by Minnesota Landscape Arboretum, including a variety of moss and stones, sand, sea shells, a metal leaf set, bird bath, and, of course, fairy dust. 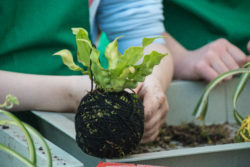 When: June 7, 6:30 p.m.-8:30 p.m.
Kokedama is a Japanese variant of bonsai that uses moss as a container for another plant. 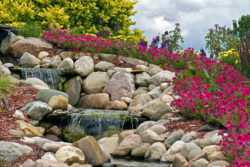 Expert Laura Vogel with the Minnesota Landscape Arboretum will walk you through a drop-in mini-workshop and teach everything you need to know about the display technique. The course includes step-by-step instructions on creating your own. Walk in or register online. This quick class will leave you with something fresh to bring home and add to your garden. When: June 9, 2 p.m.-4 p.m. The workshop will take no more than 30 minutes, so you can arrive any time within that time frame. Do you ever drive around the block, oogle and obsess over your neighbor’s gorgeous front yard, and wish you had the creativity and skills to do the same? With the help of Minnesota State Horticultural Society, you might not have to dream anymore. This all-day class is for homeowners ready to dip their toes into the world of landscape design. When: June 9, 8 a.m.-5 p.m. Creating the perfect path and rock garden at your humble abode has never been easier. A Gerten’s Greenhouse expert will guide you through rock and plant placement, paver placement, and the use of moss, sedum, Creeping thyme, Euphorbia, Ajuga, and more. All you need to bring is yourself, your budding excitement, and your favorite pen to take notes on all the tips you pick up. 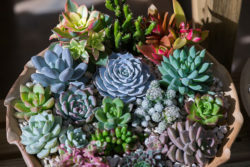 When: June 9, 12 p.m.-1 p.m.
Succulents are as popular as ever, and now, thanks to Bachman’s, you have the chance to create your own trendy display. Learn tricks, tips, and helpful advice for planting ur own succulent garden. Once you take it home, it’ll add flair, give life, and emit color (a flood of guaranteed compliments, too!) to any space. 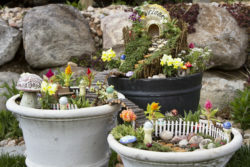 When: June 10, 2 p.m.-4 p.m.
Carver-Scott Extension Master Gardeners are more than just Master Gardeners, they also know their stuff about fairies and gnomes! This free workshop for kids and adults will first teach how to make trinkets your fairies and gnomes will love. Then, finish with a thorough demonstration on how to create your own. When: July 10, 6:30 p.m.-7:30 p.m.
How much: Free, with no registration required. Create your own stunning floral arrangement that will be sure to brighten up your kitchen or make a grand statement in your foyer. Bachman’s will help you put together your own beautiful assortment of summer flowers, including gladiolus, hydrangea, zinnias and vervain. When: July 14, 2 p.m.-4 p.m.